Favorite CVC project-related memory was when the VC Client I had worked with as a novice first-semester analyst sent out an email saying that he landed a place on a $50M VC deal led by Sequoia and that our team's work had helped him a lot. It really helped me see that my interests were actually helpful to someone. Siddant is a senior in the College of Arts & Sciences studying Computer Science. He's from Kathmandu, Nepal, loves startup culture and has interned at bunch of startups including one in the music industry; he aspires to continue his career in product management after graduation. Siddant joined CVC in his fall sophomore year and is currently a Project Manager. He likes rock music and pretends to be a soccer pundit. After freshman year, I worked at a Media & Enterntainment startup called Karma Records as a Software Engineering (SWE) Intern. The next summer I initially started working as a SWE intern at StartupTree here in Ithaca. Midway through I transitioned to a Product Management role and really loved the work I did. This summer I worked as a Product Manager Intern at Chegg at their HQ in Santa Clara, CA which was an awesome experience. Recuriting is tough; feel free to reach out -- I'm happy to talk more about my experiences. In my little spare time, I love listening to the Doors, playing my guitar and daydreaming. CVC has been the most valuable of my Cornell experiences. Through the club, I have not only expanded my interests and skills but have also developed many close friendships and gained great mentors. Nikhil is a senior from Poughkeepsie, NY and is a Computer Science major in the College of Engineering. He joined CVC in Spring 2017 and has since worked on projects with Cayuga Venture Fund, OpenView Partners, Bessemer Venture Partners, and Envision Ventures. His professional experiences include summer internships as an analyst at The Blackstone Group and as a researcher at Cornell Tech. On campus, as a Cornell Rawlings Scholar, Nikhil conducts human-robot interaction research with Dr. Guy Hoffman. In his spare time, Nikhil avidly follows football and is a fan of the New York Jets. This past summer I worked as a technology analyst at The Blackstone Group. The summer before, I worked in an HRI lab at Cornell Tech. My professional and academic interests lie in HRI and Machine Learning research. On campus, I work with Dr. Guy Hoffman to explore how intelligent robotic agents can work side-by-side with humans in design spaces and aspire to further pursue such research in graduate school. Outside of classes, I enjoy watching football and follow the New York Jets. Both a Social and Professional Club. What I love about CVC is that it gave me a focus other than hospitality. Since joining CVC, I have been able to explore my interest in tech and entrepreneurship and connect with top talents in the VC industry. CVC has a great balance of both professional and social experiences. My favorite memory was going on picnic with CVC members after my Python final exam. 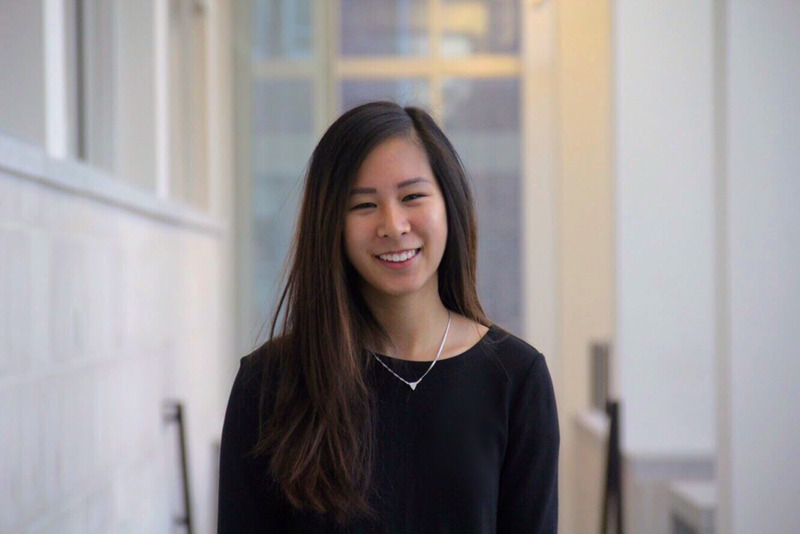 Ivy is a sophomore Hotelie from Hong Kong with a minor in Real Estate. She joined CVC in her freshman spring and has worked on projects with BVP and Sierra Ventures. Outside of CVC, Ivy is involved with MCSA and HEC. Ivy also works at the Front Office of the Statler Hotel on campus. In her free time, Ivy enjoys travelling, food hunting (classic Hotelie things), and fashion. My current career interest lies in hospitality and real estate. I interned for Fushion Fund, a VC firm based in Palo Alto, last winter, where I worked on due diligence projects in the health tech space. Last summer, I worked for a real estate company where I was staffed in their newly established hotel development team. I collaborated on feasibility studies and positioning reports for boutique hotels in the development and planning phase. On campus, I gained operation experience through working at the Statler Hotel. I am also the co-founder of an education tech company called Innoedu. I enjoy spending time and money on anything food or fashion related, as well as travelling to new and exciting places. Learning about the Frontier of Technology. CVC has given me the chance to explore fields that I would never have the chance to learn about in a classroom. Most notably, this most recent semester I was able to work on a project where I was tasked with teaching a venture capitalist about Quantum Computing. This project allowed me to gain insight and knowledge about a field that very few people know about. CVC has been a great learning experience for me and I look forward to learning about many more industries while in this club. Nick is a sophomore from Smithtown, New York majoring in Information Science in the College of Engineering while pursuing a minor in Business. Since joining CVC in Spring 2018 he has worked on projects with NEA and GGV. Outside of CVC, Nick is a member of the Engineers for a Sustainable World project team and the Sustainable Business Alliance. In his free time, he enjoys going out to the golf course, fishing and watching New York sports teams. Prior to college I spent my summers doing immunotherapy research on Long Island, while simultaneously interning in the Fiscal Department of MercyFirst, a non-profit orginization on Long Island. This past summer I worked as an accountant at Penkovsky Company CPA's PLLC. My professional interests lie in data analytics, and the intersection between engineering and finance. Outside of classes, I can be found playing golf, fishing, or watching the New York Knicks lose basketball games. My favorite CVC memory was our end-of-semester Pines burger challenge. It is always awesome getting to know people you work on intense projects with in a more informal setting, especially when most of us come from such different backgrounds and always find a way to learn and grow from each other. I am really grateful to CVC for facilitating friendships that I would never have made otherwise, and hopefully a network of friends that lasts past Cornell. Christophe is a junior from Washington, DC but originially from the Netherlands. He is majoring in Applied Economics & Management and minoring in Philosophy, and joined CVC in Spring 2018. On campus, Christophe is involved with Suna Breakfast, a hospitality start-up in the upcoming eLab cohort, Mundial club soccer, Cornell Blockchain, and Sigma Chi. After my freshman year, I worked for a hedge fund in the DC area doing equity research. After my sophomore year, I worked for NEA (one of our clients) in the NEA Next program, where I did finance and strategy for The Players' Tribune, one of their portfolio companies. After my junior summer, I will be interning for General Atlantic, a tech private equity firm in NYC. Outside of classes, I enjoy playing soccer, snowboarding, and eating food. This past summer I worked as a Fixed Income Summer Analyst at Seer Capital Management. The previous summer I was a Summer Analyst at Pierpoint Capital. My hobbies include annoying Fred, going skiing, and playing squash. My favorite CVC experiences have been our bi-weekly tech-talks. These presentations have been an incredible way for me to learn about sectors I would not normally know about presented by a fellow CVCer. My favorites have been David’s presentations on Initial Coin Offerings, Fred’s presentation on Valuations and Jeff’s presentation on CRISPR. I look forward to hearing more of these in the semesters to come. Rishab is a freshman from the Princeton area intending to double major in information science and applied economics and management. Since joining CVC, he has done work with Openview, BVP and GGV. Outside of CVC, Rishab is also involved on the CUAUV project team and Cornell Data Science. Some of his interests include cryptocurrencies, archery, and up-and-coming rappers. Last summer I worked at the New Jersey Department of Transportation developing cost analysis models and benchmarks for intelligent traffic light migration and highway resurfacing, comparing in-house operations and private contractors with data analysis in Python and Excel. I was also able to develop a mental health application that was aquired by an angel investor in August of 2018. Listening to Rap Music, Watching Boxing and Soccer.